Our many years of staffing experience allows us to provide healthcare professional workers who are carefully interviewed and screened before they could join the team. We guarantee complete satisfaction because our workers are experienced, motivated, knowledgeable, competent, and more importantly, we know that they are compassionate and sensitive to our clients’ needs. As advocates for excellent care, we recognize the challenges of aging and difficult health conditions. which often bring uncertainties and fear to patients and their families. To alleviate these concerns we strive to preserve the physical and mental well-being of our patients, respect their human dignity and serve them with care and compassion to the best of our abilities. Care Advocate‘s mission is to be an established leader in the healthcare staffing industry by providing quality, affordable ad professional healthcare assistance which addresses the daily challenges faced by individuals and familes. Care Advocate genuinely believes that a trusting relationship with our clients and their families a very important element in the healing process. That is why we create, for every client, a specially tailored plan of care that is focused on the client’s progress, comfort and peace of mind. Our Registered Nurse Care Manager is available to assist you in the assessment and referral process. Please call us at 773-561-6370. For more information, or to schedule an assessment, contact us. 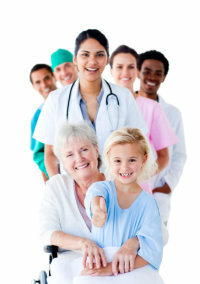 We are a full-service staffing agency with highly trained and caring healthcare professionals. Please call us or contact us for more information.